Business process analysts must face the task of analyzing, monitoring and promoting improvements to different business processes. Process mining has emerged as a useful tool for analyzing event logs that are registered by information systems. 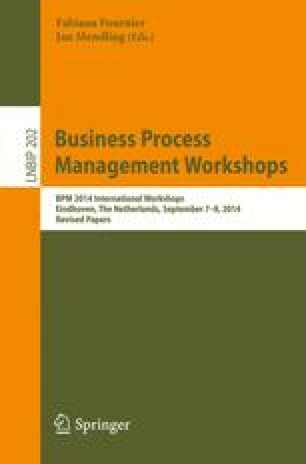 It allows the discovering of process models considering different perspectives (control-flow, organizational, time). However, currently they lack the ability to explore jointly and interactively the different perspectives, which hinder the understanding of what is happening in the organization. This article proposes a novel approach for interactive discovery aimed at providing process analysts with a tool that allow them to explore multiple perspectives at different levels of detail, which is inspired on OLAP interactive concepts. This approach was implemented as a ProM plug-in and tested in an experiment with real users. Its main advantages are the productivity and operability when performing process discovery.